Part of the Team at OTR / with Ambulance Service. It’s been a very busy end to the week. Thursday we were involved in a promotion with the opening of the new On The Run (OTR) Service Station. OTR are one of the sponsors of the Royal Flying Doctor Service so we help them out but we also have the opportunity to promote the RFDS. The OTR is the “home”of the Krispy Kreme Donuts, which we gave away for free on opening day. Personally I don’t like them. They are great in most people’s eyes and I know people in Adelaide that go for them in a big way, but I find them just a tad too sweet for my taste. But we had a good day – talked to a lot of people and gave out flyers . On Friday the Prime Minister visited the Governor-General and a General Election was called for the 18th May, so we can expect the letterboxes to be crammed with election material for the next weeks. Friday I took Annabell to the doctor for a check-up, called John (my son) and reminded of the RFDS Fundraiser on Saturday. Spent the afternoon working in the garage. Saturday morning I decided to have some time off so, I did not set the alarm and slept until almost 6:30. The dogs slept too and we didn’t go for our walk until almost 7am. The dogs are well and enjoyed the walk this morning. It was interesting in that everything was quiet. Generally it’s still dark when we go out but it was light today and perhaps the other dogs were asleep which means that Dougal didn’t go ballistic like he general does if he hears a bark – or, indeed, any undetermined noise. The Kangaroos were few and far between this morning but because it was light I saw for the first time some of the damage the Kangaroos had caused. I have walked the same area for a long time and watched it change over the years. I have watched a man lay in concrete slabs and edging to mark out his lawn area, cover the area in new topsoil, plant seed and water the area ( got wet a couple of times) and watched the grass take root and finally become a nice lawn, which, thanks to the Kangaroos, is in the process of being destroyed. I can understand the frustration that must be involved here, but I still think leaving out water for them is the right things to do. 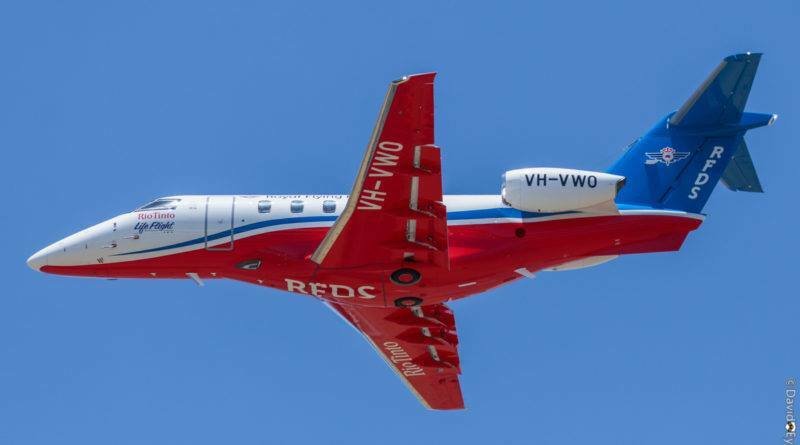 The New RFDS ICU Jet. doctor for the RFDS. Knowing the children like to play with boxes, one of the mothers brought in some empty boxes. The children made their very own RFDS aircraft and since they see it every day, they new which colours to use. We thought this was fantastic and contacted Central Operations, who were very impressed. They sent me up a box of balloons, wrist bands, colour-in pages and a heap of put together aircraft. to be back home in about ten days. This means that Dougal might not be with us for more that another week or so – if Ina is correct. Not that I want to see him go, really, but Benji has been a bit odd this time – have no idea why. They have not been fighting or causing concern. apart from two spats, but that happens. Perhaps Benji doesn’t want to share anymore, whatever the reason, it feels different this time. Seems you had a successful time at both promotion and fundraiser! The flying ICU sounds amazingly good. I would love to be in Adelaide when it comes in so I could have a look through it. We wont see it here as it’s a “long Haul ” unit for the far north and into the Northern Territory. Perhaps Benji is starting to feel his age? Or perhaps he’s not feeling quite up to par? After Callie went to Heaven, and Shadow and Ducky didn’t have to compete for her affections, the girls got along much better. But Ducky would still be snarky at times. So, I just started REALLY watching Ducky again for all sorts of signs. It wasn’t long before I realized that the only times Ducky was really “bad” were when she wasn’t feeling well, or quite right. Sometimes it’s easy to miss the subtle signs, especially when you have so many other things going on in your life. Not trying to make you worry needlessly; just wondering. Give Benji hugs and kisses for me. We understand he was about 4+ when we adopted him and he has been with me for just over three years. Benji is never ‘bad’ but he gets a bit grumpy at times and he gets very unhappy if Dougal is on my lap. He will jump on the chair from the side and slowly ease Dougal off, then get up close and put his head on my chest. I will stroke his head and he will sit there quite content. He probably thinks that my affection should only be for him. I wioll give him some extra hugs today. Sounds like Benji and Ducky have similar ideas. 😍 When Shadow was still with us, Ducky would push her way between Shadow and me. If she was feeling ok, there would be no snarkiness; if she was out of sorts, she would grumble at poor Shadow. Especially if I pushed her away to keep loving on Shadow. Shadow would usually let Ducky have her way, though. The house still seems empty without my Golden Girls. What an amazing operation the RFDS runs. So colorful and obviously so needed. I’m with you. Krispy Kremes are barely edible when they’re warm and even then, much too sweet. While I love sweets, they are a bit much. Love seeing the photo of the two “fur-iends” together side by side. 😍Extra ear rubs for Benji. There will be two jets – one based in Adelaide to service the far north of the State and into the Northern Territory. The other Jet will be based in Perth WA and will service the West of the state to the South Australian Border and the North into the Kimberly region. As I said I know some people in Adelaide that go the the Krispy Kremes in a big way, but like you I find them too sweet. Ina seems to be on the mend so perhaps Dougal will be going home soon. Benji appreciates the extra ear rubs…..